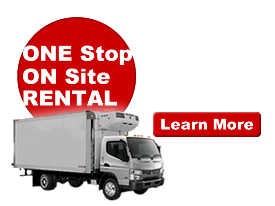 USED TRUCK SALES – New trucks arriving daily – call to get the latest inventory. Just call Patrick DeMary, Owner or Paul Anderson, Sales Manager at 1-800-837-1419 (Toll Free) or 614-486-9603. Fair Market Value Lease. No Money Down. Road Ready Lease. Guaranteed Truck Buy Back. Tax Benefits. Click here to learn more. Need a new truck? Get the Canter Advantage! Click here to view our NEW TRUCK SALES. Hino J08E-VC Diesel Engine, 220HP/520 lb.-ft.